Duke Brakes carries a wide variety of brake brackets that were made to work with the world's leading industrial brake products. Navigate our brands for part numbers or contact us for assistance. 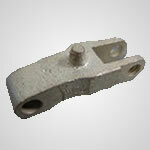 Our knowledgeable technicians will help you find the right bracket for your brake model.